Astigmatism is the most common vision problem, affecting most people to at least some degree. Astigmatism occurs when either the cornea or the lens of the eye has a slightly different surface curvature in one direction than the other. Instead of being even and smooth in all directions, the surface may be flatter or steeper in some areas. Slight amounts of astigmatism usually don't affect vision and don't require treatment. Moderate or large amounts of astigmatism can fluctuate over time. It is important to have your prescription updated to ensure that all of your astigmatism is being fully corrected. Ask that anti-reflective (or anti-glare) coating be added to your next pair of glasses. Anti-reflective coating decreases (and in some cases eliminates) unwanted glare, halos and odd reflections that you may get at night. Plus, it improves the cosmetic appearance of your glasses. It minimizes internal reflections and if you have high amounts of astigmatism it will make your lenses appear thinner and invisible. New hybrid lens designs better at improving vision in patients with astigmatism. 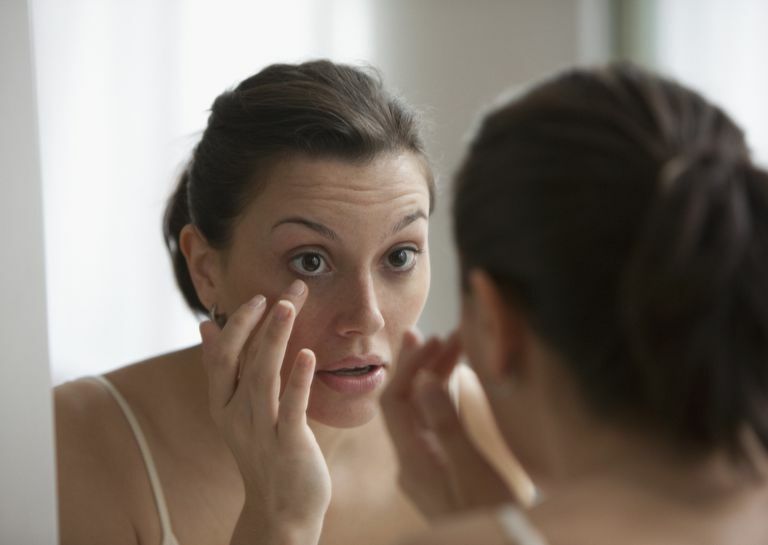 Hybrid contact lenses are composed of a rigid center surrounded by a soft skirt. These lenses combine the solid optics of a rigid lens with the comfort of a soft lens. If you wear soft astigmatism contact lenses, instill frequent re-wetting drops while concentrating or while driving at night. Dryness will not only affect the quality of the optics of the contact lenses, but your eyes may dry significantly enough to cause lens rotation while blinking. Soft astigmatism contact lenses are designed so that rotation is minimized. American Optometric Association, Astigmatism. AOA.com, 2006-08. Can I Have Astigmatism in Both Eyes? Is Glare-Free Technology Worth the Cost? Which Sunglass Tint Do You Need?